Need a quick protein-packed, plant-based dinner? 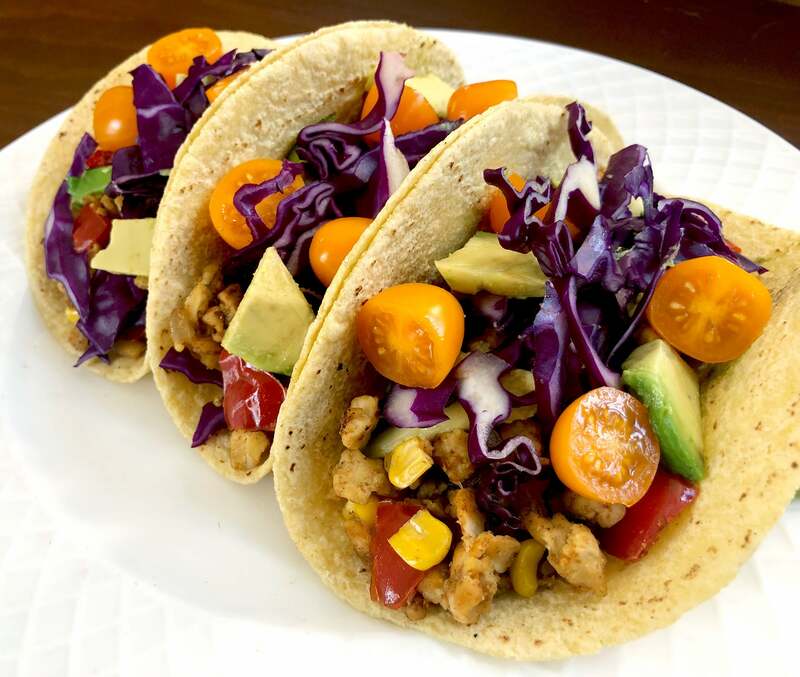 These tempeh tacos are so easy to make and so satisfying, you’ll wish it was Taco Tuesday every night. 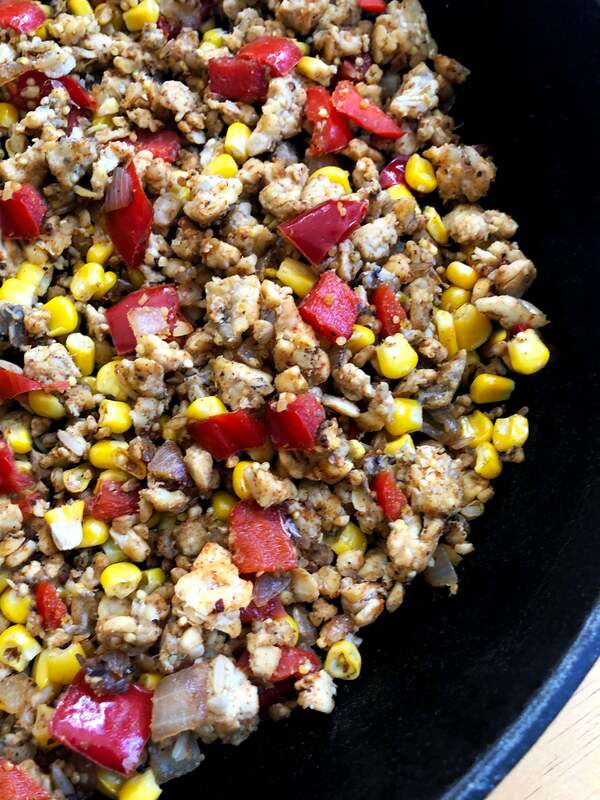 The filling is made with crumbled tempeh, sautéed onions, red peppers, and corn. It’s perfectly soft and tender, and slightly spicy – even meat eaters will be instant fans! Honestly, my meat-loving husband said the tempeh texture was so much like ground beef. 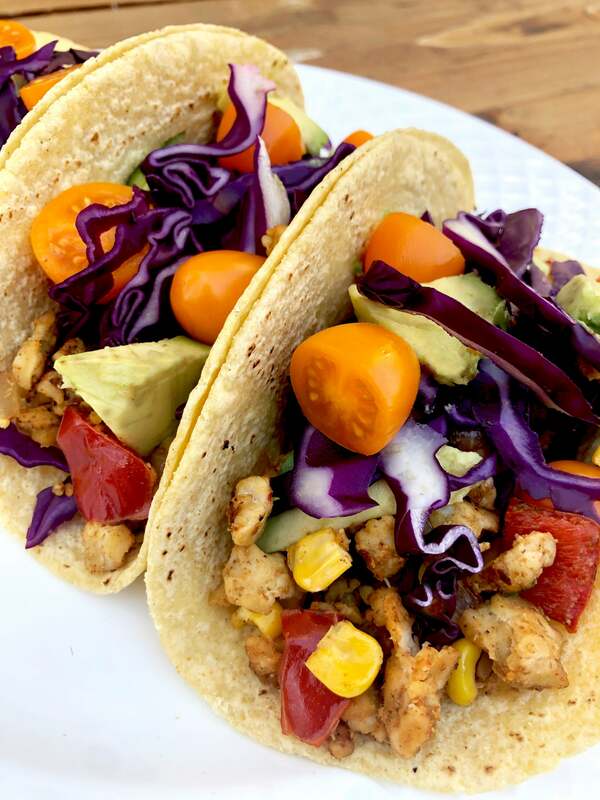 These tacos were topped with sliced red cabbage, avocado, and halved cherry tomatoes, but you could doll up this recipe by adding black beans, salsa, roasted sweet potatoes, or a homemade cashew cream or sour cream. You can make the filling ahead of time on a Sunday and Taco Tuesday will come together in minutes! If you’ve never cooked with tempeh, this is the perfect first recipe to try. Heat olive oil in a cast-iron pan over medium heat. Once hot, add in the chopped onion and cook for about five minutes until the onion becomes translucent. Add the bell pepper and cook for another couple minutes. Add the crumbled tempeh to the pan and add in the spices and lime juice. 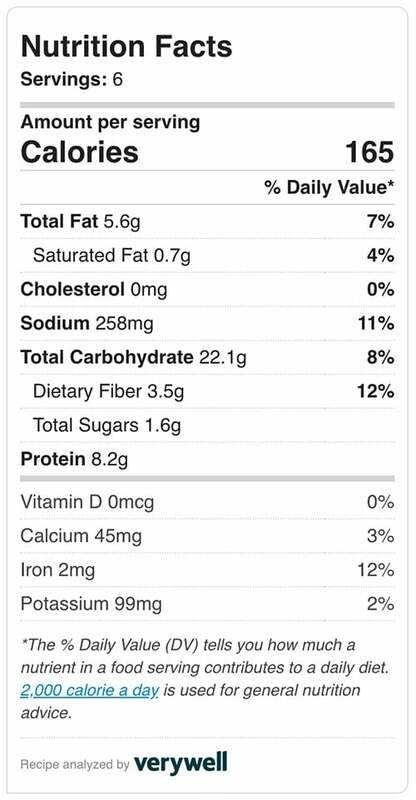 Cook for a few minutes, then stir in the corn and cook for another few minutes. 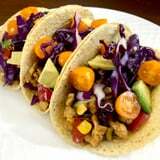 Give the tempeh filling a taste and add seasonings or spiciness to your liking. 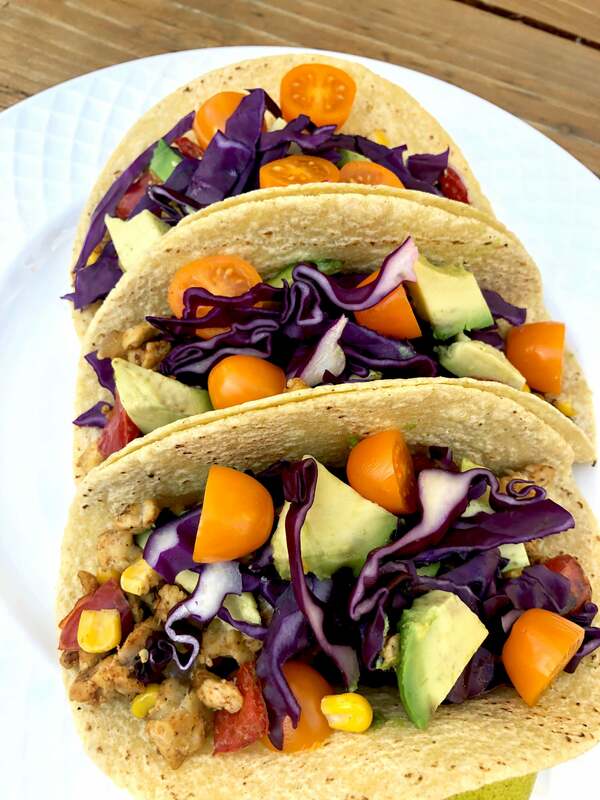 Fill a tortilla with one-sixth of the tempeh filling and add whatever toppings you like – salsa, hot sauce, avocado or guacamole, red cabbage, diced tomatoes, or sour cream.